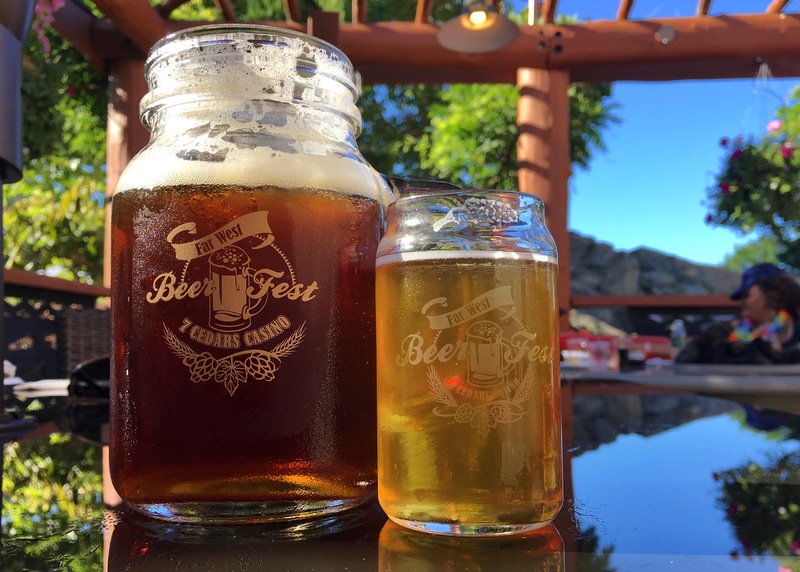 The Far West Beer Fest is in it’s 4th year now and drawing fans and beer connoisseurs from around the Pacific Northwest and beyond. 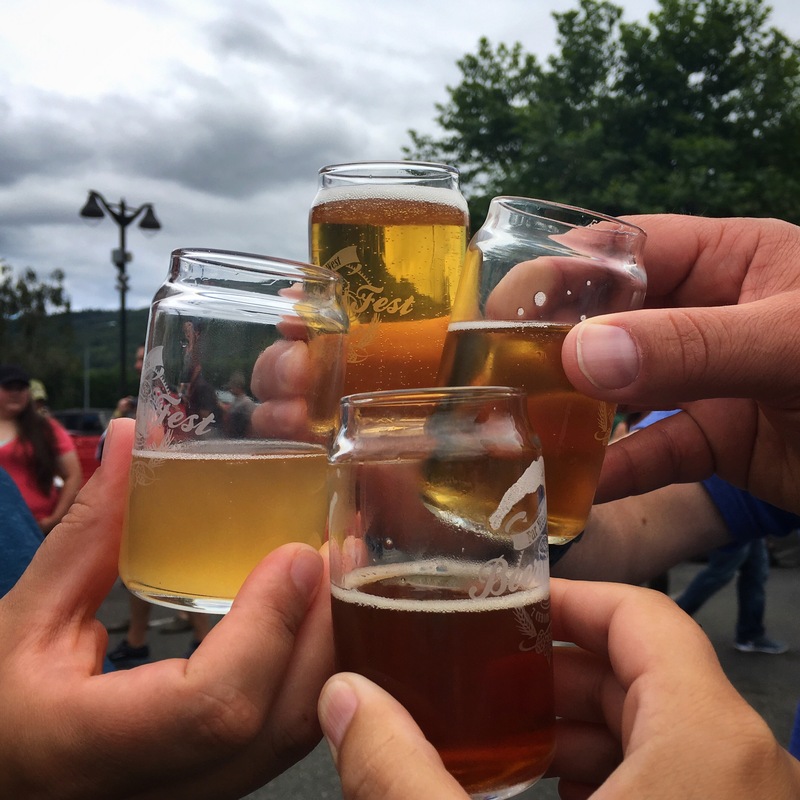 The festival is a fundraiser for the Hurricane Ridge Winter Sports Education Foundation, but it’s also a good excuse to try a number of different beers from all over the Westcoast. 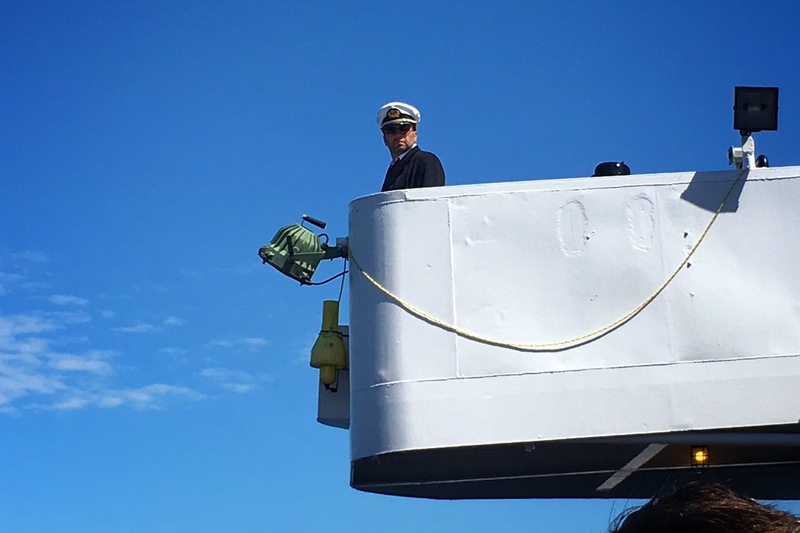 Just like last weekend’s trip to the Sequim Lavender Festival, we went as part of the Blackball Ferry Line‘s day trip package, except this time, we didn’t win it, and we paid the extra $10 for the VIP package ($79 USD pp). Also just like last weekend, we were boarding just as the Victoria Harbour Ferries started their pre-game show, but this time, the Coho was delayed just long enough that we could catch a bit of the real thing as we pulled out of the harbour. It’s a pretty impressive feat to perform a choreographed water ballet in a busy, working harbour/airport, and I’m glad I finally got to see it. We had friends along with us for this trip, and conversation proved a nice distraction for me to not think too much about being sea sick. I opted not to take any preventative meds on this one, because I didn’t want to sleep through the event after my first beer. The Coho’s size is right on the borderline of my seasick scale. I’m generally ok on ships this size or bigger, but sometimes need to pay extra attention to what I eat, and spend a bit of time staring at the horizon, getting fresh air, and all the other stuff people say will help but doesn’t. Anyway, between the conversation and trying to tell the difference between regular whitecap spray and humpback whale blowhole exhaust (Colin: “There! Did you see that one?!? There goes another one! Look where I’m pointing! Oh wow, there goes another one! Look, right over there!”), we had a pretty good trip over to Port Angeles. However, the staff seemed unprepared for such a large group to descend on them all at once. Many people were confused as to whether they needed to order the tasting flight themselves, or wait to be recognized by our yellow VIP wristbands. There also didn’t seem to be any special pizza deals for our group, but we had managed to get our order in early, and so got to enjoy our pizzas while everyone else was still struggling to find a seat and be heard above the live music. 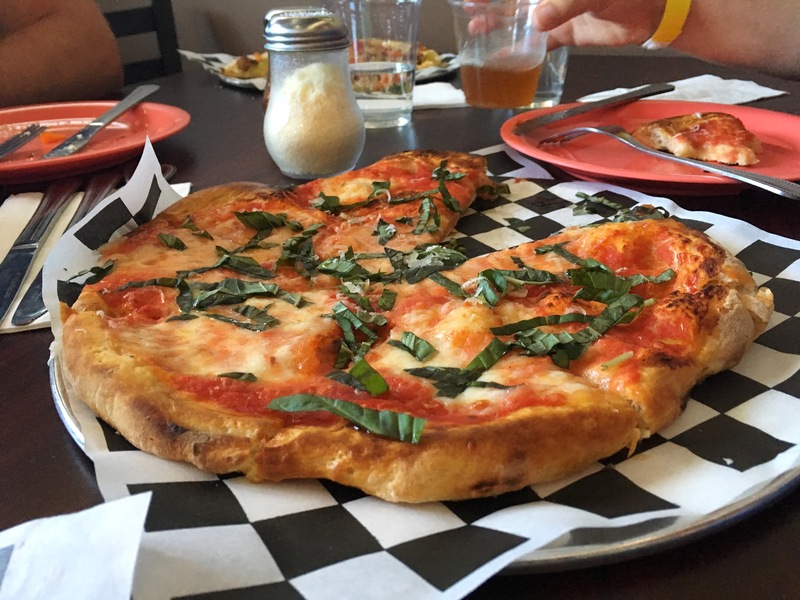 The pizza was quite good (it’s made with 100-year-old Alaskan sourdough!). The music was loud (am I getting old? ), but mercifully, ended after just a couple of songs. Then, a lull until the brewmaster came out to tell us a bit about the brewery and the characteristics of each one of the beers we were sampling. I must say, I enjoyed all four of their offerings! 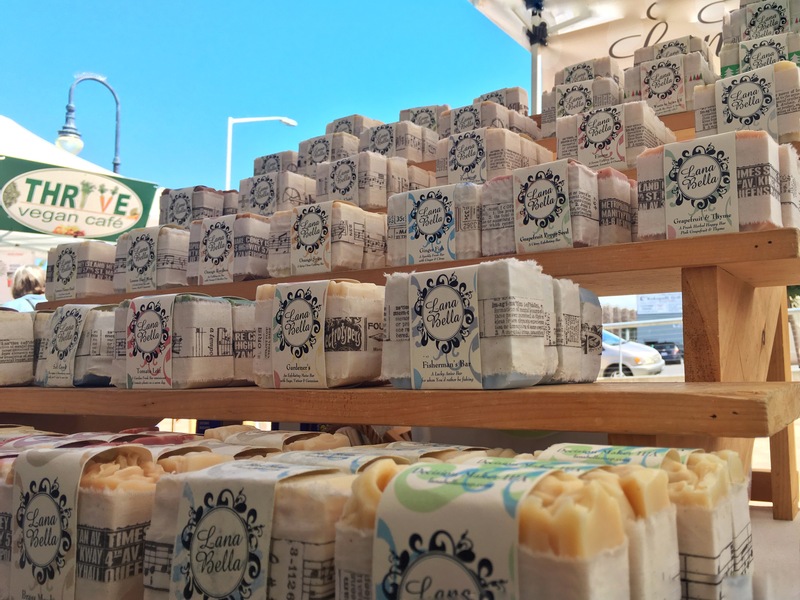 We had a bit of extra time while everyone else finished their pizza, so we went to explore PA, and found a Farmer’s Market with some lovely smelling soaps, among other things. We also enjoyed using PA’s distinctive crosswalk flag system! Then, it was time to board the coach for our ultimate destination, Far West Beer Fest at 7 Cedars Casino! 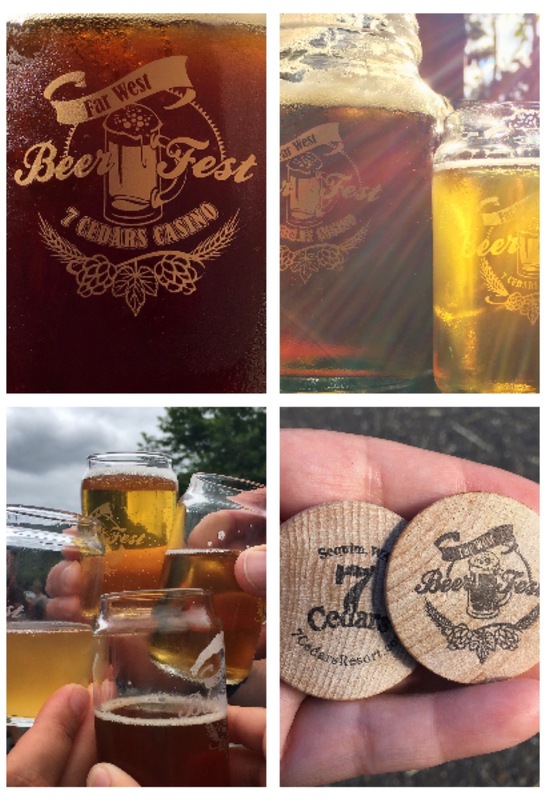 7 Cedars Casino is owned by the S’Klallam Jamestown Tribe, near Sequim, Washington (home of the Olympia Oyster), and plays host to the annual Far West Beer Fest. 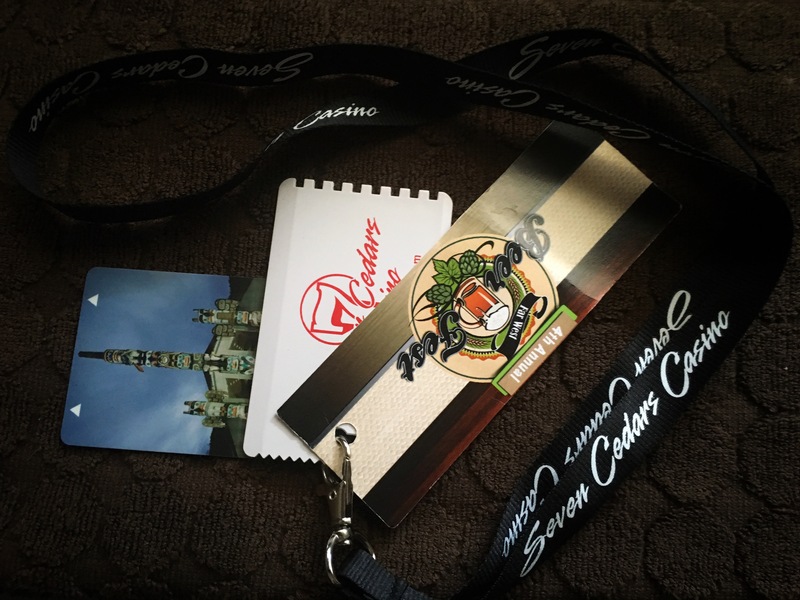 As part our our package, we got a lanyard with an ice scraper/beer foam skimmer, $10 slots play voucher, $5 restaurant coupon, and a mini souvenir tasting glass with 5 beer tokens. Time to taste! It took me 4 stalls to find something that wasn’t an IPA, but it was worth it. I discovered that some exhibitor’s had a secret stash behind the table if you asked nicely. That’s how I found Mac & Jack’s African Amber. I also really enjoyed Anderson Valley Brewing‘s Boont Amber Ale, so much so, that when I went back to buy a $10 big beer mug (came with $5 in tokens), I traded in 3 tokens to have it filled. There was also a good representation of ciders at this beer festival (including the Lavender Black Currant Cider from Finnriver I enjoyed last week at the Lavender Festival), I was tempted to skip beer and go with cider (mixing drink types is never a good idea for me), but this was a beer fest, and so I felt it important to stay on mission. However, if they ever hold a local cider fest, I’ll definitely be first in line! Once I had a comfortable level of beer on board, I went to see what I could do with my free $10 slots credit. I ventured inside the casino and found that although they do allow smoking in most of it, there was no air of desperation amongst the gamblers like I find in many of the casinos closer to home. The $10 credit required signing up for their Totem Rewards program, but the employee signing me up was very friendly and made the process enjoyable. Then I was off to explore the slots! 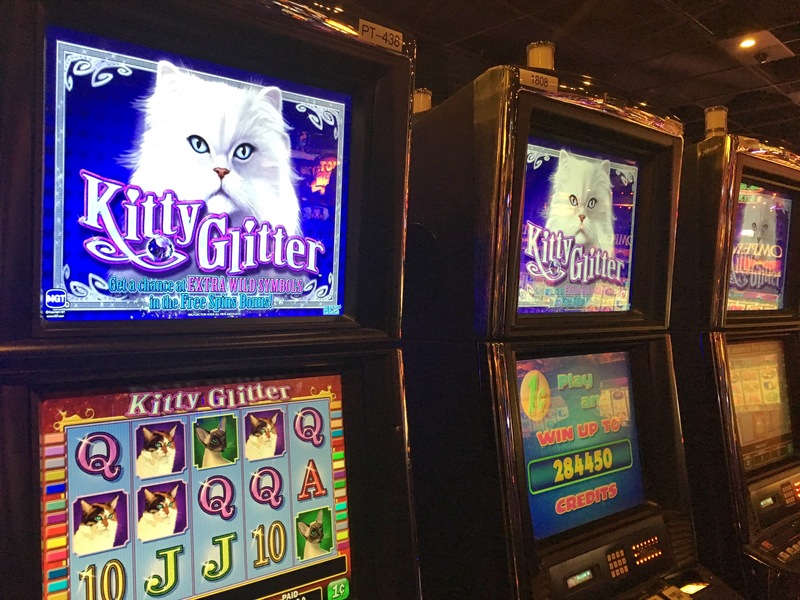 While Kitty Glitter was amusing, I did best (not exactly a game of skill) at a farm-themed game and managed to walk away with $44.62 in real cash! Colin turned his free slots winnings into Blackjack winnings and walked away with a similar amount, so we went outside to find a place in the shade and reward ourselves with some more beer samples and soft pretzels with yummy cheese sauce. In between samples and slots, there was some pretty good live music that played a few songs from my past, so I think I must have been in the right demographic for this event. 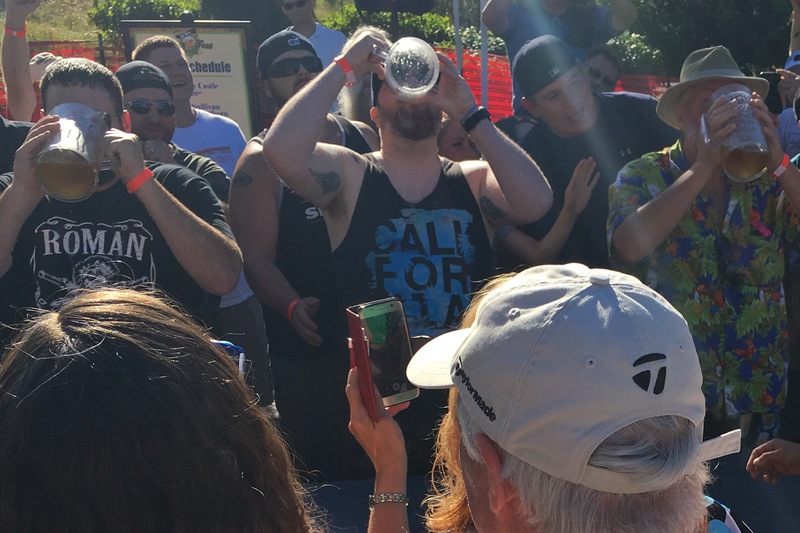 They also had contests and games like team beer chugging and giant Jenga. After a pretty full day, we decided to board the bus back to PA just before 7pm so that we could have dinner at a great pub we found during last year’s pub crawl/underground tour package called Next Door. Alas, the line was too long, so we went in search of a meal somewhere else. Unfortunately, it seems that there aren’t enough restaurants in PA to meet Saturday night, pre-ferry demand and everywhere we looked was either full or closing. We ended up at Dairy Queen, which was also very busy. 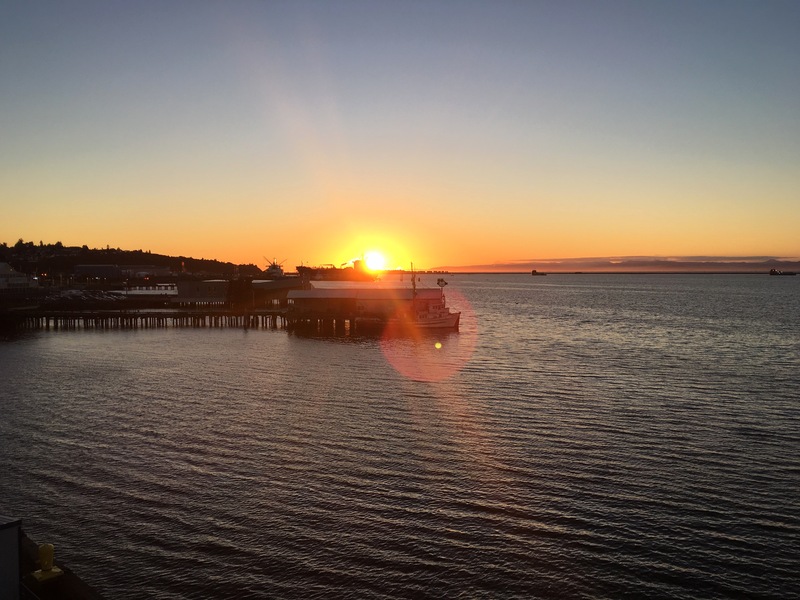 As we still had time to kill before the ferry home, we went for a sunset walk along the pier to the lookout tower. There were scores of people (and seals) fishing for squid off the pier and from the looks of things, it was an easy catch. They were pulling them up every few seconds and throwing them into 6 gallon buckets. 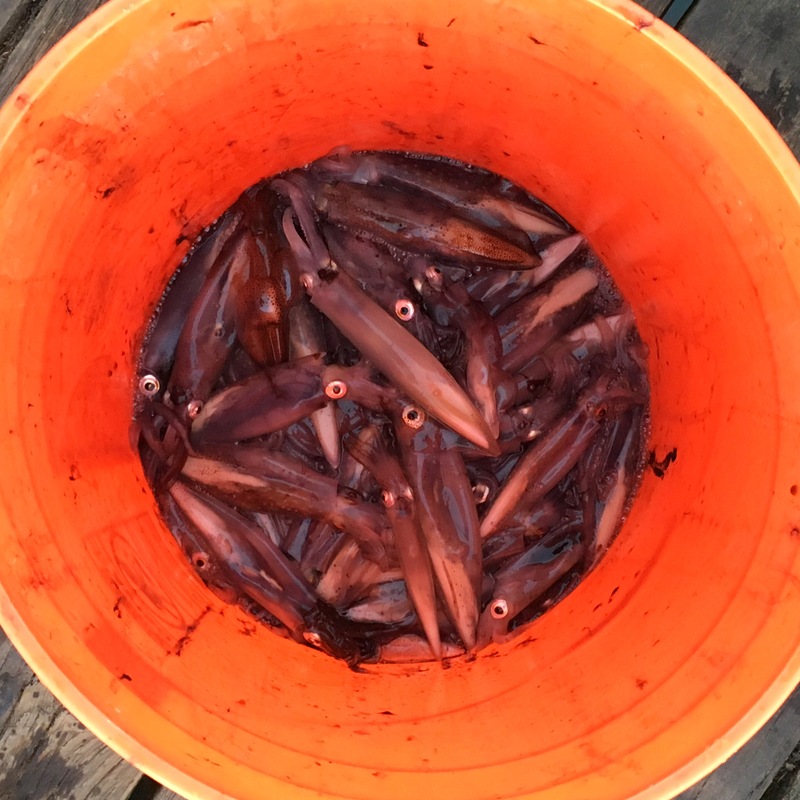 I felt bad for the squid because, while some of the fishermen had water in the pails, others just tossed them in and left them to suffocate as they squirted their ink in a last-ditch effort to escape. I’m really not sure how one goes about humanely killing a squid, but that didn’t look like it. We watched the Coho come in and it was time to head home. 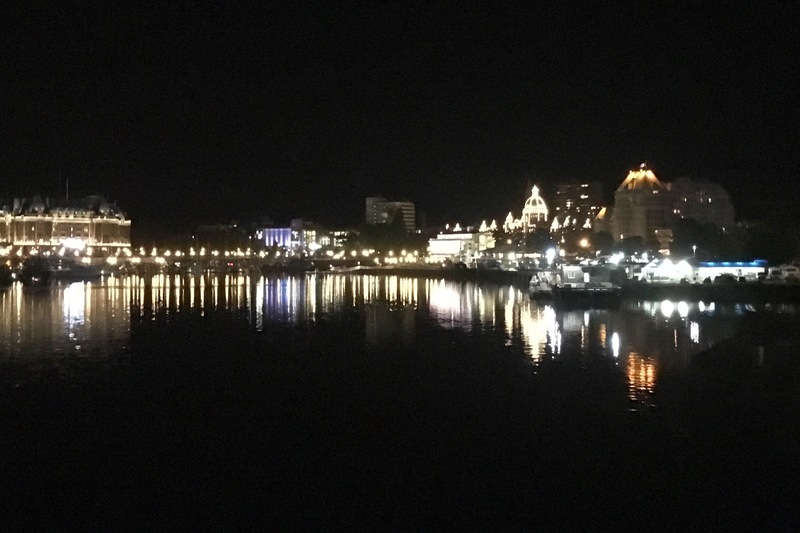 It’s always nice to see Victoria’s Inner Harbour all lit up, and seeing it from waterside made it extra special, reflected all around under a huge summer moon. A good way to spend a summer’s day out of the house, trying something new, exploring the flavours and products of the Pacific Northwest. I don’t know that I would bother with the VIP package next time, as Barhop also had a booth at the beer fest itself, although, the pizza made a nice base to start the sampling day. 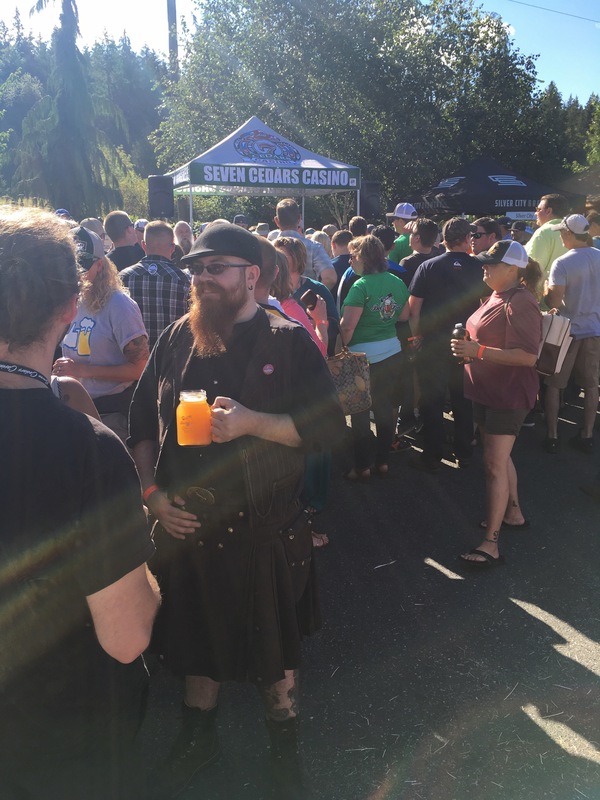 I definitely preferred the atmosphere of this event to the Great Canadian Beer Festival in Victoria. It felt like an event for grown-ups with a more intimate venue and lots of happy people but no one being overly rowdy. I’d go again, but next time, I’d try the cider, and maybe some blackjack.